Talk about someone who quits preaching and goes to meddling! Pastor David Barton told the morning gathering at Whitesburg Baptist Church that they would all have to quit drinking Starbucks coffee and find something else to spend their $5 bucks on. Why? Starbucks “come out” (pun not intended, but I decided to leave it in) in support of gay marriage. Actually, Starbucks was one of 70 companies in 2011 that filed a brief in federal court opposing the Defense of Marriage Act restricting the definition of marriage to that between a man and woman. If I was really serious about this blogging gig, then I spend some time tracking down the rest of those companies, but I trust that you can use Google as well as I.
Biblically there is no way a Christian can help support what is attacking God. I am sorry. You have got to find something else to drink. 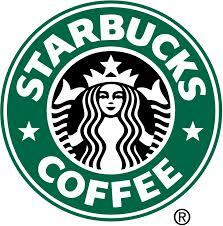 You can't drink Starbucks and be biblically right on this thing. It is just a real simple principle. In the spirit of full disclosure, I took a sip of Starbucks after I typed that last line. But it's OK-- I brewed it myself and didn't actually set foot in a Starbucks. At least, I hope that's OK! Seriously, are some good reasons to "boycott" Starbucks… like paying $5 for a cup of coffee!But saying that we can never do business with a company because they support things that we don’t think they should support will limit where we can do business… and how we can influence our world. Paul tells us that to “boycott” those in the world who are immoral would mean that we would have to "leave the world" (1 Cor 5:9-10). He asks, “What business is it of mine to judge those outside the church?” (5:12). Too many of us want the world to behave and be more moral so that it will be easier for us to be Christian. So let’s make it illegal to be sexually immoral. Let’s boycott and drive immoral companies out of business! Let’s make sure there aren't any immoral shows on TV. Sounds like we're singing the old Eddie Arnold tune, "Make the world go away." Well, it won't. The world isn't going to behave... we have to! Jesus was constantly condemned by the Pharisees because he spent too much time getting much too friendly with tax collectors and sinners. If Jesus was here today, He just might be hanging out at Starbucks buying them all a cup of coffee.